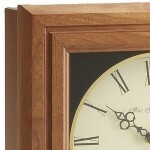 The Alton is the most elegant little wall clock on the market. 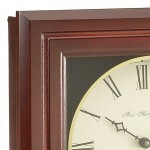 The moulded profile is made of one piece of American black cherry hardwood. The utter simplicity of the design and the patina of the finish will draw your eye to the Alton more often than you’ll need to tell the time. Solid American black cherry in Autumn (light) or Burgundy (dark) finish. Silent electronic quartz movement with "AA" battery installed. 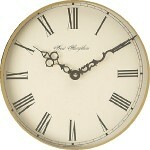 Choice of Arabic or Roman Numeral dial. 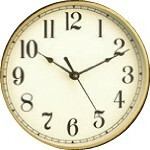 Customizable clockface with your choice of artwork (either color or b&w). Silent quartz movement comes with "AA" battery installed.